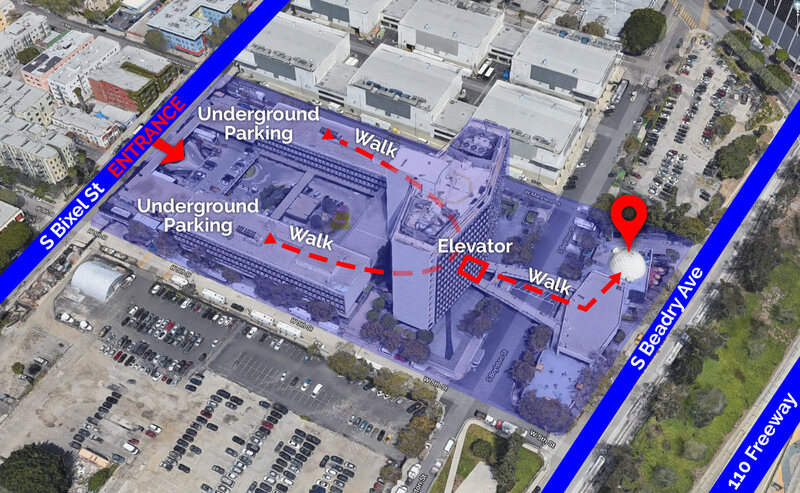 Parking is available in the studio parking structure. Check in with Security and park then proceed to MAIN LOBBY elevators and press (0). At the Main Lobby the Security Guard there will direct you to the Vortex Dome.